The March international window directly preceding a World Cup is a wonderful time of great anticipation for the nations heading to the big tournament, writes Austin Miller. Final adjustments are made by managers, last second experiments are carried out, and no matter the result, fans of every nation heading to the World Cup seemingly end the month convinced it will be their side that will raise the trophy in July. What though, for those that won’t head to the World Cup? For most, making the final tournament was never a realistic expectation, so the March window rolls along like any other international window. But for those countries that saw their legitimate World Cup dreams dashed in qualification, March serves as a stark reminder of life on the outside of the World Cup. 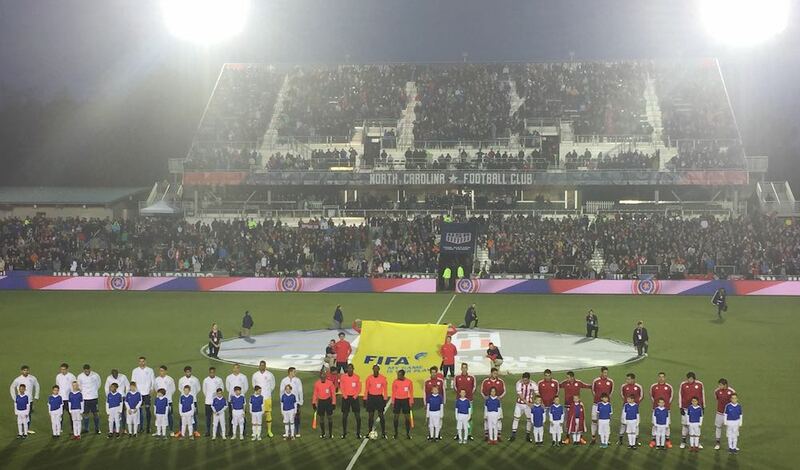 On Tuesday night at Sahlen’s Stadium in Cary, North Carolina, football’s ‘other side’ was on full display in the United States’ 1-0 win over Paraguay in a matchup of two teams who won’t play a competitive fixture until the Summer of 2019. Bobby Wood’s penalty right on the stroke of halftime was the difference, but in reality it didn’t make much of a difference who left the pitch victorious last night. 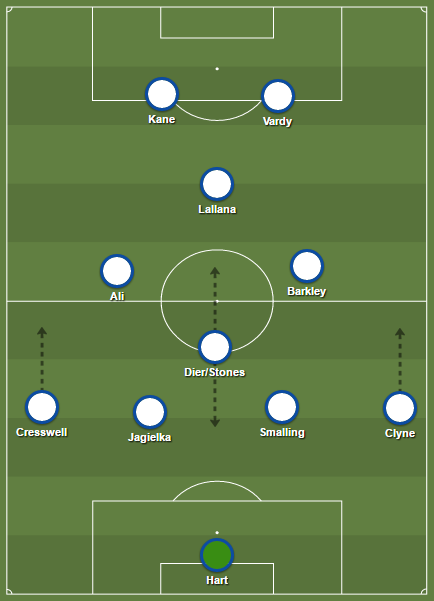 Both teams are under the direction of interim managers, neither of whom are expected to still be in charge come July, and though these were both experimental sides, the fact of the matter is, there wasn’t much promise on display from either team. Sure, Tyler Adams and Marky Delgado had moments of potential centrally in the American midfield, and Jorge Villafaña was surprisingly strong in defense. Yes, Paraguay’s Miguel Almirón left no doubt that he was the best player on the pitch, even with a limited number of touches, and Fabian Balbuena was strong and composed defensively. But last night was a fair display of why neither the United States or Paraguay will be heading to Russia this June. First touches (usually American) were often heavy, challenges (mostly Paraguayan) were frequently late. Both goalkeepers had little to do, and though Delgado’s ball to Adams to set up the penalty was sublime, anytime a penalty is the highlight of the match, said match wasn’t exactly a thriller. Even the penalty itself from Wood, whose first touch was consistently poor last night, wasn’t remarkable. Instead, it was a simple shot that fortunately sent Paraguayan goalkeeper Gatito Fernández the wrong way. Both managers emphasized that last night was important for each of their squads, but the fact of the matter is, if last night was important, both federations would have worked harder to secure a second friendly during this international window. Instead, the US and Paraguay got together in North Carolina because there frankly wasn’t anybody left. None of the World Cup bound teams wanted to play an American side that are drastically different than their CONCACAF compatriots, and (as the Americans can attest to), nobody wanted to face Paraguay because at the end of the night the Paraguayans often end up with a higher number of cautions than shots. More so, if either manager really believed in the players he had called in, or the value of match experience, they each probably would’ve used up more than just four of their six allotted substitutions. US boss Dave Sarachan spent his postgame press conference complimenting his side, praising Tyler Adams’ play in the midfield, Bobby Wood’s determination up top, and singling out centre backs Cameron Carter-Vickers and Matt Miazga who, in his words, “didn’t put a foot wrong.” But Sarachan’s words all rang hollow, especially when considering the performance of his side. 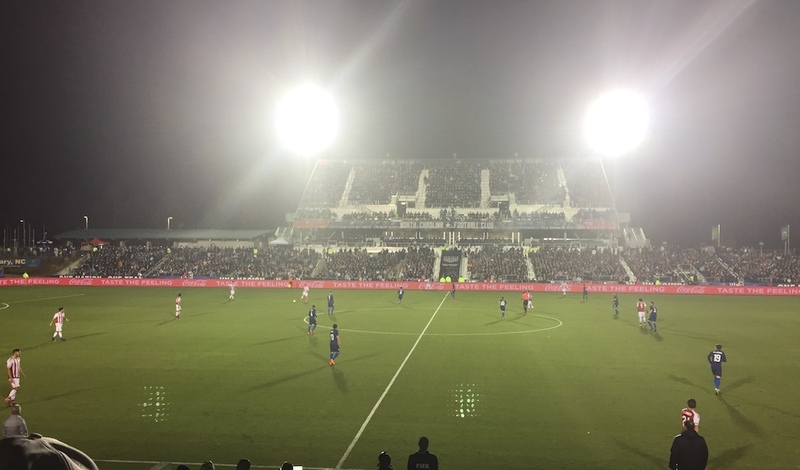 The United States, to their credit, tried to force play, but the quality on the pitch simply wasn’t enough to break down a Paraguayan side full of capable defenders, but, Almirón aside, lacking in attacking threats. Even Almirón was largely marked out of this one, displaying his brilliance for the rare touch or two, but never on the ball long enough to make a significant impact. American midfielder Will Trapp was named man of the match, partly because he helped mark Almirón out of the game, but also partly because he mostly had nothing to do in the defensive midfield. Even the stadium matched the occasion. Seating just under 10,000, Sahlen’s Stadium pales in comparison to the two American stadiums filled by Mexico during this international break, and while it was nice for an area that hasn’t seen their national team since 2006 to get a game, the honest truth is that if this match meant even an iota to the federation, it would’ve been moved to a bigger stadium somewhere else in the United States. Instead, the Americans and the Paraguayans met in North Carolina, a mere blip on the international footballing radar on the same day Germany faced Brazil in Berlin, Argentina were pounded by Spain in Madrid, and Mexico drew 80,000 to a stadium in Texas where they played Croatia. Neither of these sides hoped to be stuck on football’s ‘other side’, but if last night was any indication, it might be a while before either can leave. 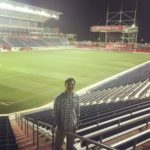 Austin Miller is a Chicago-based journalist covering Brazilian and South American football for World Football Index. He can be found on Twitter @austin_james906.